Children’s skin is very sensitive and delicate. The baby repeatedly diapers wet, which is extremely important to change, otherwise the baby’s delicate skin also has a bad effect on the health of the child and the child may have problems like infections or diaper rash. Therefore, it is extremely important to carry out the following precautions while changing the child’s diaper. 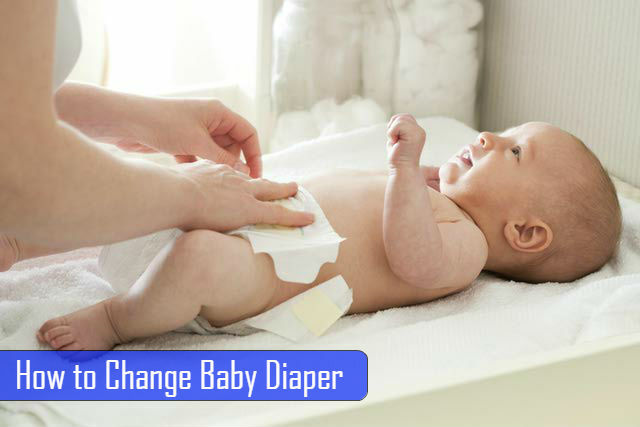 If you are using a home-made diaper, you should change it after the baby’s urine or sour. You should check it with your own hands and check whether the diaper is wet or the cry of the baby is also an indication of this. Diapers available in the market can absorb more moisture, if this is worn then this diaper can be changed after urinating four to five times. You can check for yourself that the diaper is more wet. The child should not be kept in the long run. The use of cotton cloth in the house is good for the child’s skin, so use a home-made diaper for younger children. Use the diapers available in the market as low as possible. Before replacing the diaper, keep all the necessary things close to you so that you do not have to get up again like diapers, baby clothes, clean water, clean clothes, cotton, cream and towels etc. Now place the baby in a clean place. Lay down the baby and remove the dirty diapers. After this, clean the moisture portion with cotton and clear water and after that dry it. After drying, apply a little ghee to that place. This will not cause any rashes on the skin of the child and the skin is soft. Keeping the diaper changing your hands slowly on the baby’s stomach. Use only light or white diapers for the baby. Diapers can be detrimental to infants by any other color. Keep the child’s attention in any other work or matter during this, such as giving it a toy or talking with it, this will not move the child’s attention to the process of diaper replacement and he will allow a diaper to change comfortably. The child’s diaper does not bind too tight or the diaper is more loose. In both cases the child may have trouble. If the child is wet for a long time, it may be itchy, swelling or fibers, If the child is wet for a long time, it may be itching, swelling or fibers, if the child’s skin becomes red, then use the anti-fibrous cream, and during this time, avoid using market diapers. In this situation it is important to keep the child dry completely. If the problem is high, take the doctor’s opinion. Is it safe to apply Surma or Kajal to Newborn’s eyes?